In order to maintain eligibility for consideration for financial aid, students must meet the standards set forth in Texas Southern University's policy on Satisfactory Academic Progress (SAP). There are three facets of the individual student record that determine financial aid eligibility: credit hours, grades, and time frame. The requirements in each facet vary in accordance with academic status (undergraduate, graduate, or professional student), the college or school of enrollment, and enrollment status (full-time, half-time, or less than half-time). The time frame is always included regardless of the level, enrollment status or degree objective for the student when considering the financial aid satisfactory academic progress standards. Please note that the financial aid appeal process is different from college/department academic appeal processes. Scholarships may require a separate appeal process. Students receiving financial aid must satisfy the qualitative component, credit hours attempted and earned (ratio) and qualitative component, the cumulative grade point average (GPA) needed based upon their individual academic classifications to maintain eligibility. With regard to the time frame needed to maintain eligibility, students will be considered for financial aid for a limited time only. 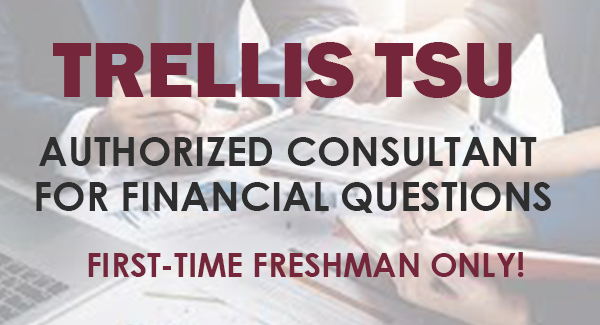 Their enrollment in all postsecondary institutions, regardless of financial aid support, is considered when determining the total number of credit hours that they are allowed to enroll in with the benefit of financial aid. Students are generally allowed up to 150% of the degree program requirements. Credit hours are cumulative; this students working towards obtaining more than one degree in the same category may reach this maximum time frame before completing their course of study and need to appeal their eligibility. Students are notified when they are approaching enrollment in the maximum number of credit hours permitted. If students exceed this number before finishing their individual programs of study, then they will no longer be eligible to receive federal student assistance. Students are placed on financial aid suspension with regard to the receipt of financial aid for their next semester of attendance. Students placed on financial aid suspension are required to submit an appeal containing a SAP appeal form, letter of explanation, plan of action for improving their academic performance and academic plan to regain eligibility to receive aid. Submission of an appeal does not automatically reestablish eligibility to receive aid. Grade excluded courses such as those in an academic “fresh start” program will be calculated in financial aid GPA based on the grading mark earned in each course (D, F, or U). Students must also complete at least 75% of all course work attempted. Because grade excluded courses cannot be used to satisfy degree requirements, they will be considered attempted but not passed. This will impact cumulative hours completed and possibly leave students to fall below the minimum 75% completion rate that is required for Satisfactory Academic Progress. Students who fail to earn the required semester credit hours, achieve the required GPA, or who have exceeded the maximum time frame will be placed on financial aid suspension. Thus, they will no longer be eligible to receive federal student assistance. The student must submit a financial aid appeal for consideration of reinstatement of aid. Completion of a waiting period or submission of an appeal does not guarantee that financial aid will be reinstated. In order to return to an eligible status, students must meet the minimum financial aid satisfactory academic requirements. Students failing to meet the minimum requirements must earn a 2.0 in at least 6 hours at an accredited two-year or four-year university prior to appealing for reinstatement of the financial aid eligibility. Submission of an appeal after achieving a 2.0 does not automatically reestablish eligibility to receive aid; appeals will be considered on a case by case basis for reinstatement of aid. If they are successful in appealing the financial aid suspension the student’s eligibility is reinstated for the term. If the student has an established academic plan and meets the standards outlined in the academic plan, the student is continued for the subsequent term. If these conditions are not met the student will be placed on financial aid suspension and may not regain eligibility until the student has met the minimum financial aid satisfactory academic progress requirements for their category or meets other federal acceptable terms for reentry into the financial aid programs. Students who meet the conditions outlined in the approved appeal and an academic plan, but continue to fall below the minimum requirements continue to receive aid on probationary status. Students must complete the requisite number of semester credit hours with the corresponding GPA to regain unconditional eligibility under the Satisfactory Academic Progress (or SAP) policy. The following types of registration or grades cannot be used to fulfill conditions for the removal of financial aid probation or suspension: advanced placement credits, credits earned through the credit by examination process, independent study courses, and grades of withdrawal (W), incomplete (I), in progress (R), unsatisfactory (U), and fail (F). Additional Academic Requirements If a student applies for financial aid, their eligibility will be based on past performance as measured by the Satisfactory Academic Progress (SAP) standards for financial aid. 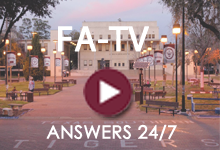 If a student is a transfer student, he or she will be evaluated within the financial aid SAP maximum time frame based upon the number of semester credit hours accepted by Texas Southern University and subsequently enrolled in at Texas Southern University. Other factors that students need to be cognizant of with regard to the assessment of financial aid status are as follows: Semester credit hours earned from foreign institutions are included in the financial aid SAP evaluation if these credits are accepted by the University and the college/school in which a major is declared. The Department of Education has published regulations which impact students who repeat courses. These regulations are part of a series called Program Integrity Rules and were effective July 1, 2011. Beginning July 1, 2011, students may only receive federal financial aid funding for one repetition of a previously passed course. If a course is repeated, the semester credits earned will count toward the determination of enrollment status and maximum time frame. If a course is repeated due to a failing grade, financial aid may be applied until the student receives a passing grade in the course. If the student receives a passing grade, financial aid may only be applied for the first instance the course is repeated. All repeated courses do affect financial aid satisfactory academic progress calculations. A repeated course along with the original attempt must be counted as attempted credits. Changes to recorded grades that take place after SAP evaluation has occurred will prompt a recalculation of SAP. This will include all grades in academic history as well as grades already entered on the current semester. Students' eligibility for financial aid may change after this calculation. Courses in which grades of "I" (incomplete) are received do not earn credits to meet the academic year minimum, nor do they influence GPA's in the semester in which they are taken; however, the credits are counted in the maximum time frame. Courses in which grades of "W" (withdrawal) are received do not earn credits to meet the academic year minimum, nor do they influence GPA's in the semester in which they are taken; however, the credits are counted in the maximum time frame. Students may retake courses from which they withdraw, and retaken credits will count toward the determination of enrollment status and minimum credits earned. Credits earned from undergraduate developmental/remedial courses that students are required to take count toward the determination of enrollment status, minimum semester credits earned, and maximum time frame. Credits earned from undergraduate courses taken while students are enrolled as graduate students do not count toward the academic year minimum, nor do they influence GPA's, nor do they count toward the determination of enrollment status or minimum credits earned, unless these credits are specifically required as prerequisites. All undergraduate and prerequisite courses are included in the financial aid time frame for financial aid SAP. Summer terms are considered special semesters and are not automatically monitored to determine financial aid SAP. Students who attend summer terms and who want credits earned during these terms counted with fall and/or spring semester credit totals must make a request for such at the end of the summer terms of attendance. Decisions on these appeals will be made within 10 business days after their receipt. Students will be notified in writing of the decision.